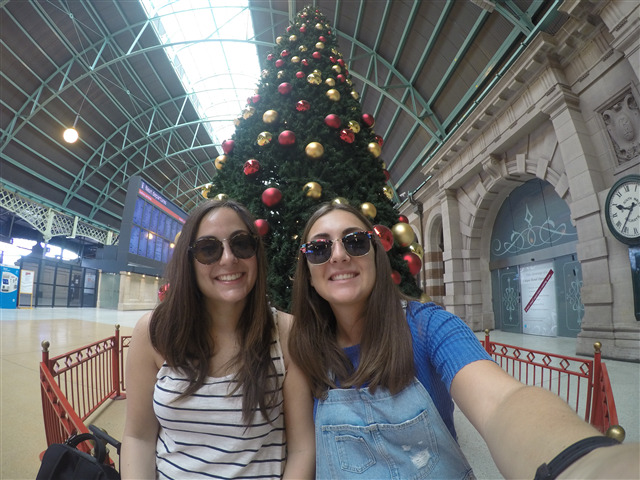 During the Christmas break, we decide to go for a 3-days-off to Newcastle, trying to escape the crowded Sydney and have a rest from the work. Newcastle is the second most populated city in New South Wales and it is just 2 ½ hours by train from Sydney. The city is easily reachable using the OPAL CARD (NSW public transport card) and the ticket costs only $ 2.50 if you decide to travel on Sunday. Since we don’t have our car yet, we stay at YHA Hostel - a famous Australian hostel chain - in a 6 beds dormitory paying around $ 30 per night (great rate considering the high season). We spend the first day on the beach in total relax, while in the late afternoon we go for a walk on the waterfront to reach the lighthouse and then cross the colourful streets of this beautiful town. If you do not want to face the ocean waves, you can use the Ocean Bath. It is a historical point of the town built before the First World War, with both an Olympic swimming pool and a smaller one for children or for those who just want to cool down. In this beach complex, there are dressing rooms, toilets and even hot showers as well as a bar. The next day we decide to reach the popular place of Port Stephens by bus (1-hour trip), which includes more than 26 golden beaches. The main tourist centres are Nelson Bay and Tea Gardens full of good restaurants for a romantic fish dinner. Since we are bored to just lay down on the beach, we decide to have a dynamic day hiking Mount Tomaree, from which you can admire an incredible view of the bay below as well as the thousand shades of the sea under the sun. Once back to the beach, we jump into the crystal clear and refreshing waters of Shoal Bach (our favourite one) to forget about everything and everyone. There are many activities that you can do on this peninsula: camel or quad tours at the Anna Bay sand dunes, snorkelling, kayaking, surfing or even whale watching from June to November. This region is also the place of origin of many wines and artisan beers. In short, it is a mix of golden beaches, crystal waters and national parks. That is the perfect trio for those who want to lose themselves in nature for a couple of days, just outside the more chaotic Sydney.